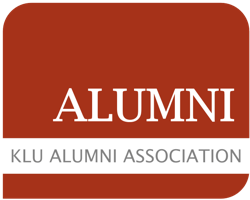 KLU Goes Digital – Digital Lectures for KLU Alumni - Kühne Logistics University Alumni e.V. In 2018, KLU launched its first online learning platform for executive education. Our digital lectures cover newest trends and cutting edge topics in the logistics and supply chain industry and give insights into the latest developments. As KLU Alumni, you receive free access to the digital lecture “The Digital Supply Chain” by Prof. Rod Franklin for the next 3 months. This course deals with digitalization and the impact new technologies will have on the supply chain and logistics world in the future. The online lectures introduce the Digital Supply Chain and give an overview of new digital implications, such as Automation, Autonomous Vehicles, Big Data, and Cloud-based Approaches. The lecture series concludes with the implications digitalization will have for collaboration within the supply chain in the future, and give an outlook into the logistics and supply chain management of tomorrow. Take advantage of this exclusive offer for KLU alumni and be the first to benefit from our newly launched platform and digital lectures. To participate, please register below. You will receive an email with the platform link and personal voucher for access. We would also appreciate, if you would take the time to give us your feedback regarding the platform and digital lectures through a short questionnaire, which we will attach to the email. Upon registration to the event you will receive an email with the platform link and access voucher.